As promised, had a chance to fish today...a rare thing! The Salmon/Steelhead in the Georgian Bay rivers are trickling in. 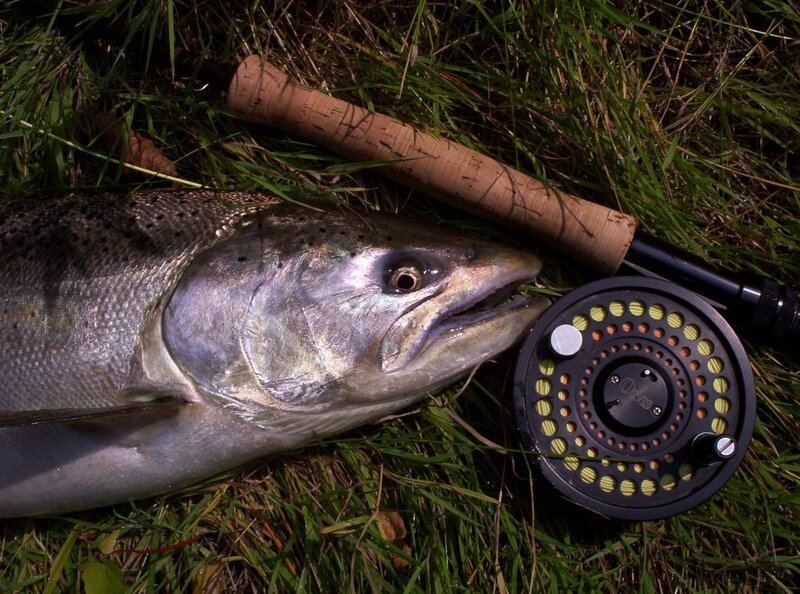 Booking for Steelhead and Salmon is close...within a week! This is what I found today. This fish was so fresh..it took me well into my backing!! it's close...can you smell it?? Call today to book you adventure! closer to the desired temps!I've been on the Notty a couple of times,managed a nice silver Salmon on the Spey rod. I had two other fish hit my swinging fly so hard it left me shaking! Check back for more information,I'll be on the River again today..